Seems Samsung is gearing up for a hell of a busy 2014 – and that's just quarter one. According to Korean site etnews, Samsung is set to release four or five new smartphones in the first quarter of next year. While etnews has been a bit hit and miss in the past, this fits with everything we've been hearing from the Samsung rumour mill in recent months. 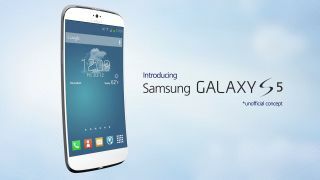 According to the report, the Samsung Galaxy S5, rumoured to be here by the end of March, will be among the devices. The Samsung Galaxy Note 3 Lite, which is also expected to show up at MWC in late February, is also on included on the list of mooted phones. If these sources are anything to go by, Samsung will start firing out its new devices starting in January 2014 - bang on CES time. While it's not mentioned in the report, we suspect that the Galaxy Grand Lite might also feature on the roster. We're also expecting to see the Samsung Galaxy Gear 2 early next year, quite possibly sharing the stage with the Galaxy S5.